If you are looking at me kid, then you are looking at a Bogart fan. 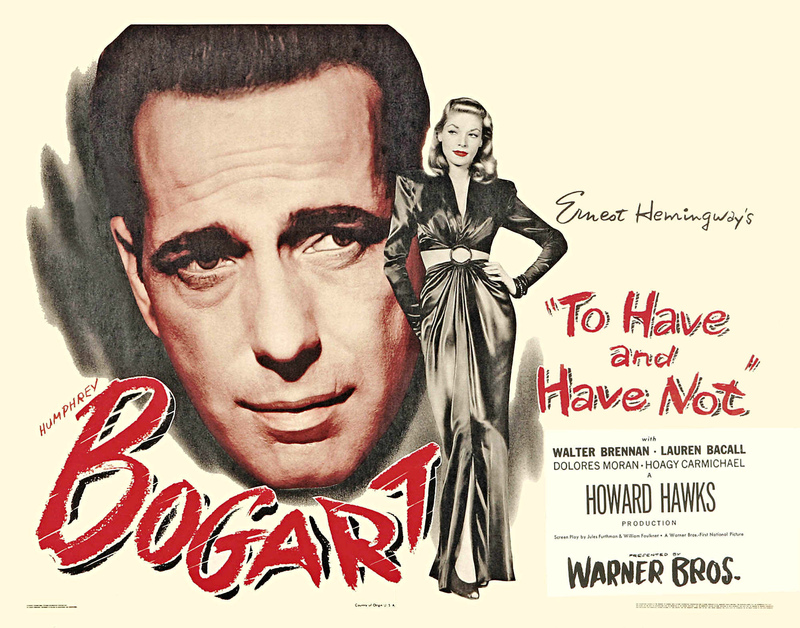 “To Have and Have Not” is my favorite Bogart movie, but there are a half dozen others right behind it. This movie gets notice mostly because this is where Bogart, then 45, met 19 year old Lauren Bacall. So add to that the novel is by Hemingway, the screenplay by Faulkner and Howard Hawks directed. The only thing that could make this better is Walter Brennan playing an old rummy. Like many of his movies, Bogart plays the reluctant hero. He’s also a tough guy, and this is in a time when men were men and women were never as ‘slim’ as Lauren Bacall. Did I mention that Hoagy Carmichael plays piano in this movie, because if you ever made it into the Flintstones Cartoon I will be your fan for life. Bogart gets to do all his favorite things in this movie, including drive a boat, smack a guy, fight injustice, duck the law and get the girl. He does it all with a wry smile, a gravelly drawl, and a cigarette hanging from his lip. The dialogue in this movie is right up there with “Casablanca,” and maybe I like this movie better because of the happy ending and seeing Walter Brennan dance a jig. Catch this movie on TCM, or Netflix or come by my place and we can watch it together. I give this movie 5 out of 5 stars and I would give it more if it were mathematically possible.